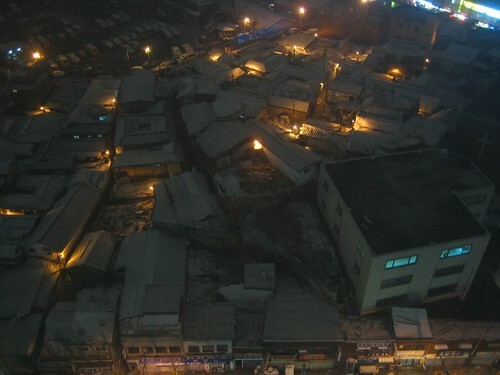 Seoul remains white after the last snowfalls, and even though it is not snowing anymore, low temperatures are keeping snow from melting… This is a satellite view of Korea I got sent my e-mail. The shot was taken after last January 4th’s snowfall, which they say has been the strongest in Seoul in the last 100 years (although who knows, maybe they say that everytime it snows 😉 ). 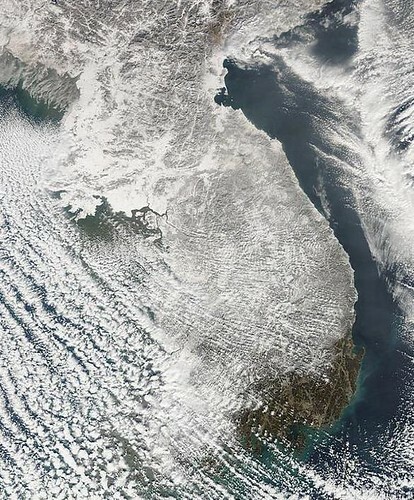 You can see that there is more snow in the areas around Seoul than even in North Korea. 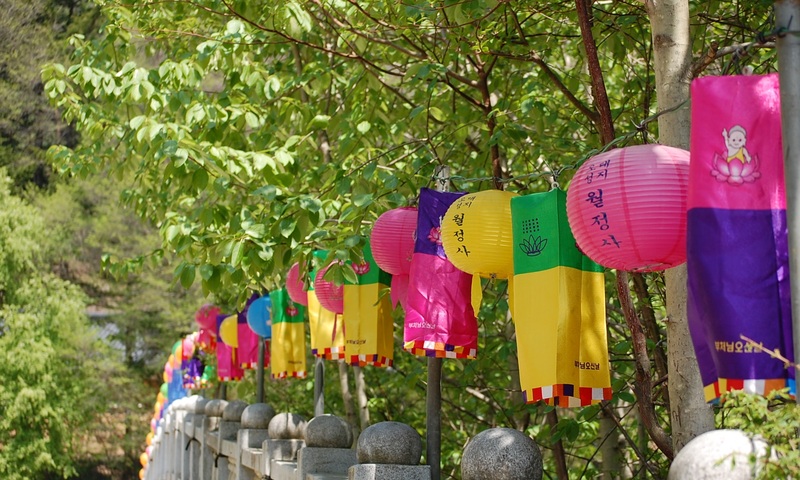 And from all Korea, only Busan got to survive from the snow storm. We got the first snowfall of the winter! As usual, I didn’t take my camera with me today, so all I can show you is the view from my window.